The Lord has anointed me to bring good news to the afflicted; He sent me to bind up the brokenhearted. July 29, 1982 – a red-letter day!! 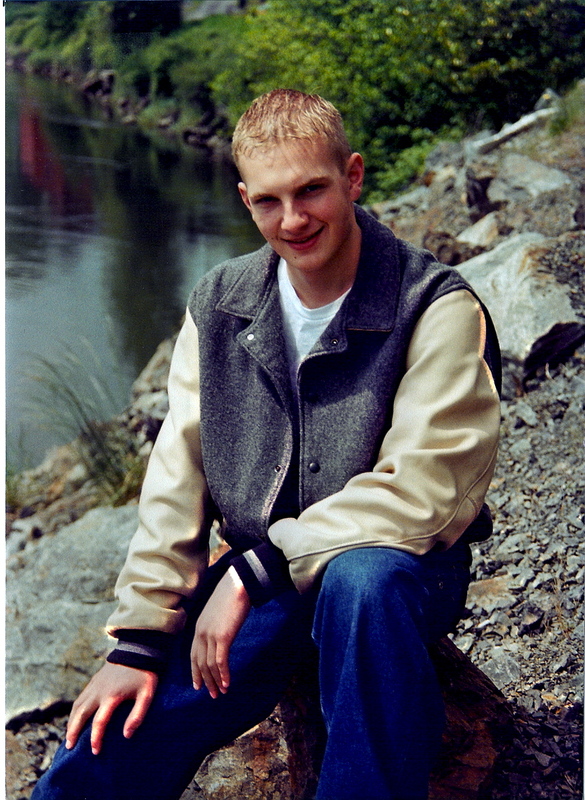 Jason David Carney was born at Northwest Hospital in Seattle, Washington. 9 lbs 10 ½ ounces. 7:15 A.M. 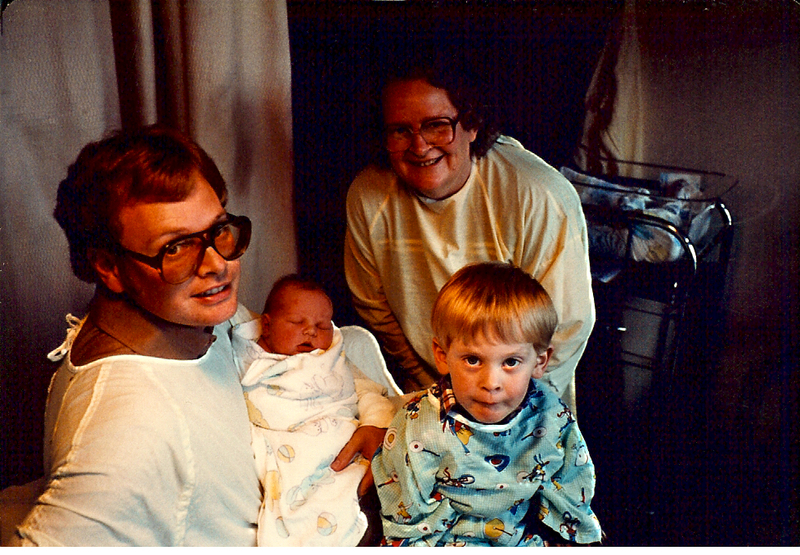 Believe it or not, Jason had auburn hair when he was born! Soon after, his hair turned blond and stayed that way. Even as a baby, he was a cuddler. He hated to be put down in a swing or playpen. When he was a baby and I needed to do housework, I carried him in one of those front-pack baby carriers. He was so contented to be held, but disliked being put down or left alone. 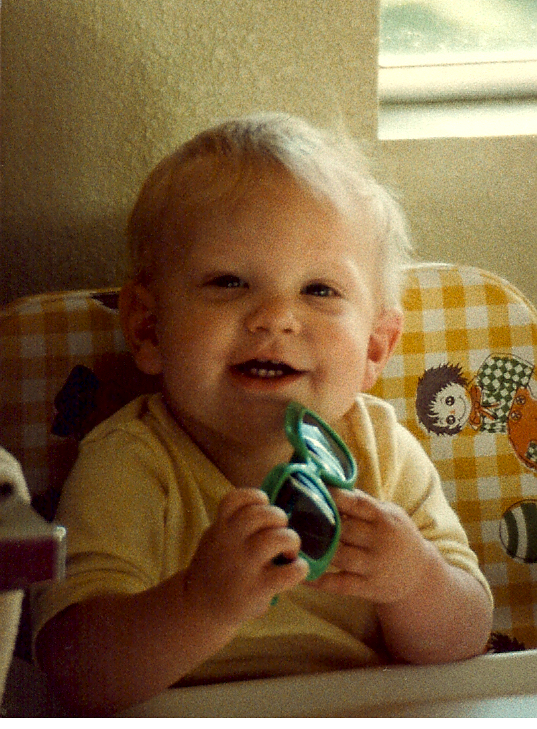 Jason didn’t sleep through the night regularly until he was almost 3. I’d wake up in the night and find him beside me, looking at me with those beautiful blue eyes and a smile, waiting for me to wake up so I could give him a hug and put him back to bed. Jason was born with a sensitive nature in many, many ways. When Eric (our first child) was a baby and taking a nap, I’d use the time to clean house. I could even vacuum under his crib while he was asleep, and it wouldn’t even wake him up. Jason, however, was another story! I’d carefully push open the door to his room to check on him while he was napping – and the air movement would wake him up!! 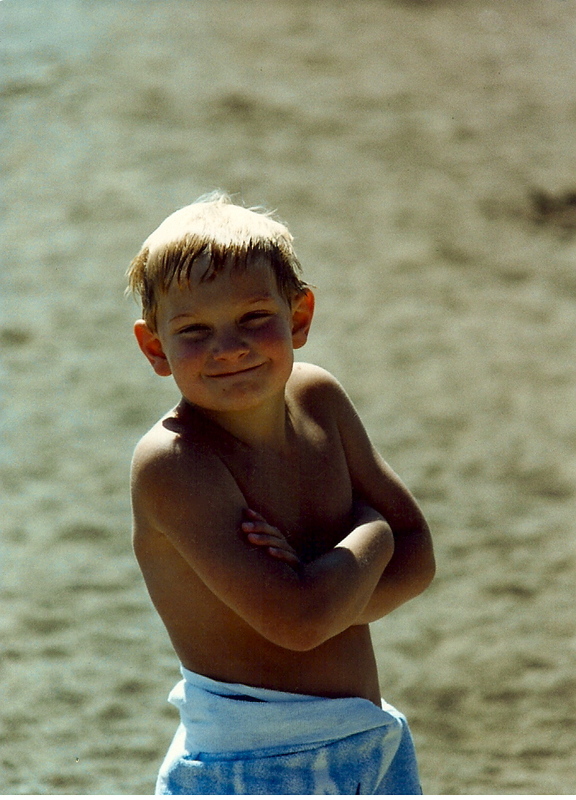 Jason was always a “people person.” When he was about three, we went shopping at the Factoria Mall. While we were there, Jason discovered an older gentleman working on the tiles on the floor. Fascinated, Jason walked up to him and asked him what he was doing. The man ignored him, but Jason kept talking to him. Finally, the man looked up at him and said, “Don’t you know you’re not supposed to talk to strangers?” Jason looked up at me and said, “What’s a stranger?” That summed up Jason’s love of people: he truly never knew a stranger – every person had potential to be a friend – and he looked for the friendship and good in people. Jason valued his friends, going the extra distance to support and encourage them. He was known for bringing flowers (especially roses) to people. The Valentine’s Day before he died, Jenna was having a rough time with her boyfriend at the time. Jason went to Costco and bought the biggest, most beautiful bunch of roses he could find and gave them to her to cheer her up and to let her know he cared. Jason had such empathy for people. For example, we were given a book by Joe’s sister for Christmas one year, one of those “how/why things work” type of books. As Jason looked through it, he came across a picture of a little boy crying because he had sand on his hands. It was like he empathized with the little boy…knew how he felt. He understood the little boy’s sadness, and it made him sad, too. After a while, the book would automatically fall open to that particular page. We would find Jason studying the picture as if to figure out how to help. That’s what Jason did: he cared for people with his heart. One year when Jenna was about 3 and Jason was 5, I decided to make a Raggedy Ann doll for Jenna for Christmas. Jason watched me hand sew the hair and face, make the clothes and doll body, put a little heart with “I love you” on the chest. He was so excited. When Jenna opened the present at Christmas, he could hardly contain his excitement. Well, Jenna, not being much of a “doll” girl, wasn’t exactly impressed with it and just set it aside. Jason was so concerned that my feelings would be hurt (which they really weren’t) that he came over and hugged me, stood by me with his arm over my shoulder until he made sure I was okay about it. Such a soft, wonderful heart. 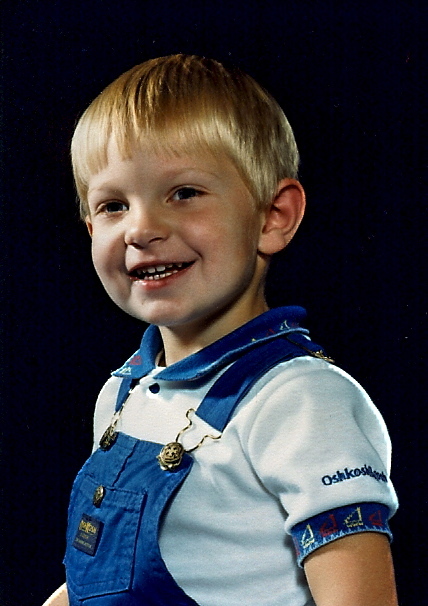 Jason accepted Jesus as his Savior when he was 5 years old. Joe had the privilege of leading Jason in this prayer. 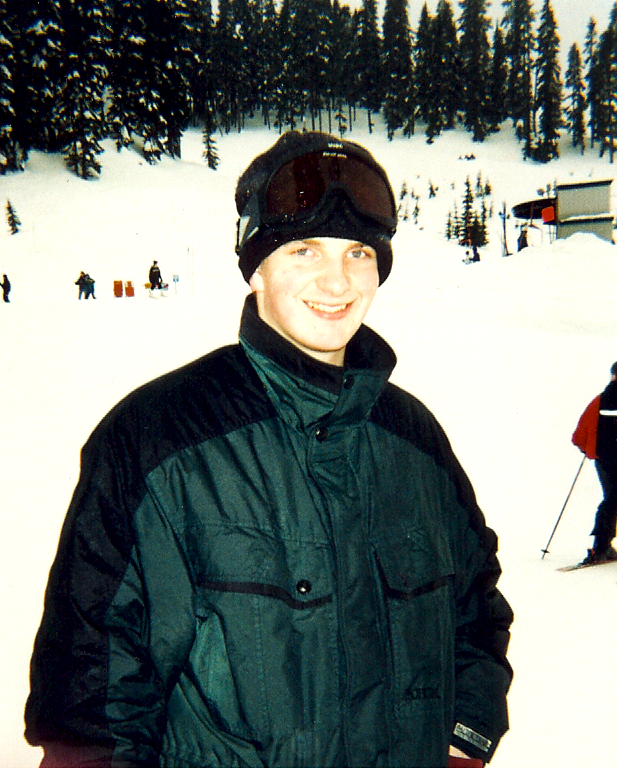 Jason had a very soft heart toward the things of God, a very teachable heart. He loved to sing songs, and “Awesome God” was his absolute favorite. He also loved the Michael W. Smith song, “Hosanna” (“Blessed is He who comes in the name of the Lord, Hosanna, hosanna, hosanna….”) We’d crank up the radio or tape player in the car and sing at the top of our lungs. 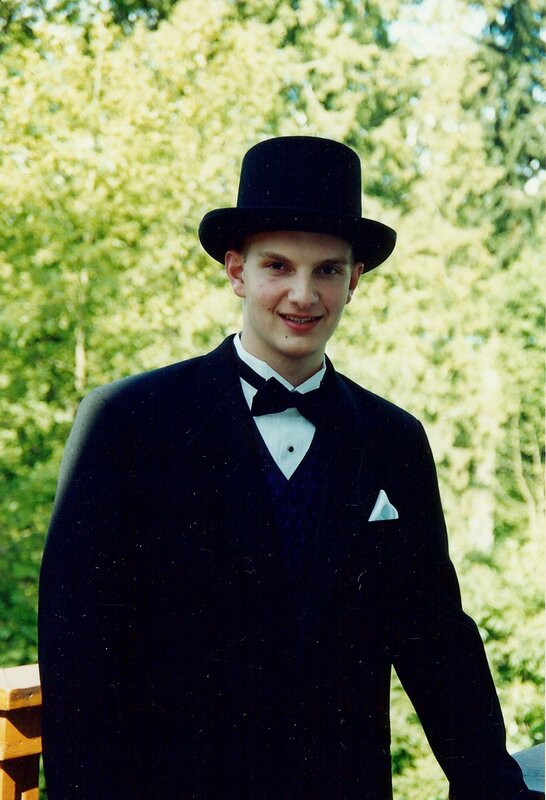 As a middle schooler, Jason participated in the Awana program at the (then) largest church in the Pacific Northwest, receiving the Timothy Award. (The Timothy Award This award is presented to those students who have completed any four of the third- through 12th-grade handbooks or studies, which involves memorizing 286 Bible verses and includes all associated activities. Jason finished four books in a year.) He would come each week with lessons finished and memory verses learned. He learned so many verses each week that they put a limit on the number of verses one child could recite at a time for credit in the program. We were given an Atari video game when Jason was about 5. One of the games on there was chess – thus began his love and illustrious notoriety for playing chess. He would play and play against the video game. 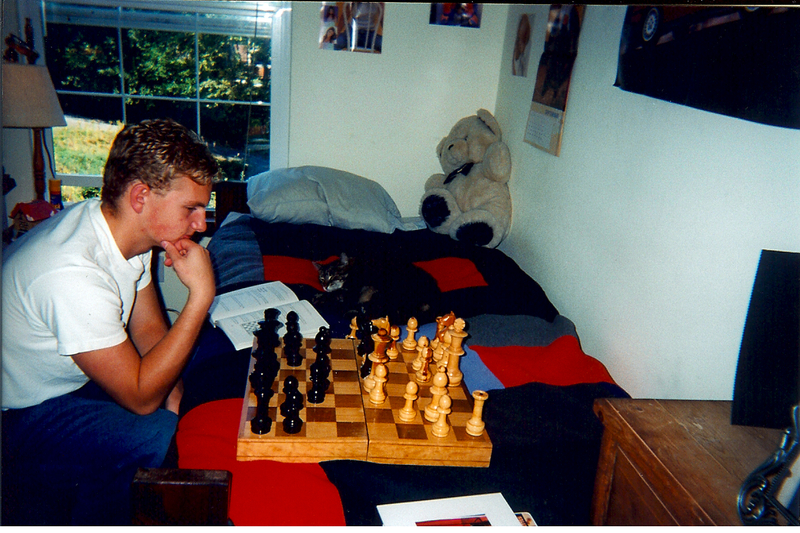 Not long after this we got him an actual chessboard. 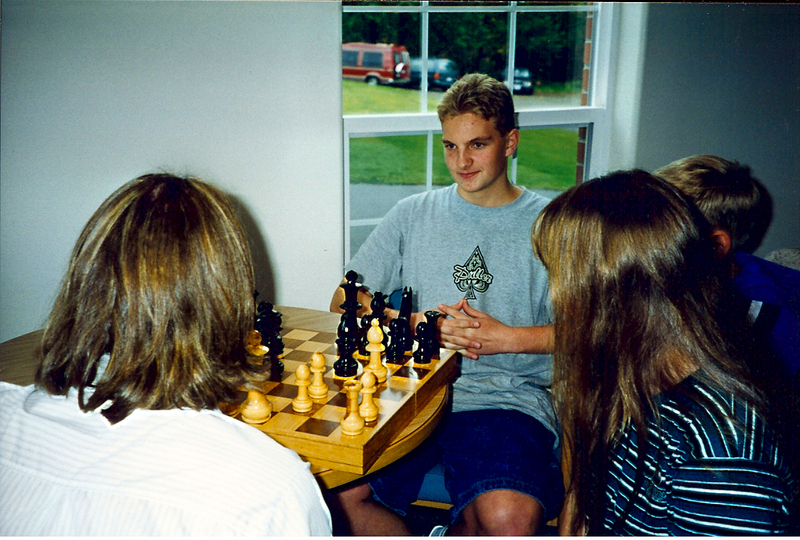 It was not uncommon for Jason to carry a chess set with him in order to find an available opponent. 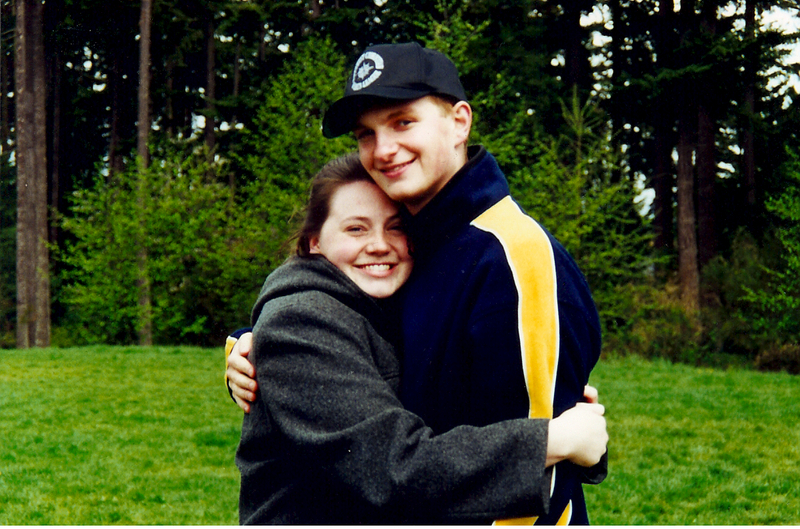 There are so many wonderful things I could say about Jason – his kind heart; his heart to do right whatever the situation was; his heart for his family; how he put 100% into whatever he did – his family, his schoolwork, his job, his relationships; his intelligence (he was studying computer engineering); his great sense of humor; his love of volleyball, basketball, swing dancing, video games, music, board games; making chocolate chip cookies; his love of life; his beautiful blue eyes and quick smile that brightened any room; his great bear hugs. It’s hard to put the essence, personality, love and life of this great young man into words. On March 2, 2002, Jason and Jenna picked up their friend Alina and went to Starbucks. They then came back to our house to hang out and watch a movie. As Jason took Alina home in the early morning hours of March 3rd, a drunk driver going more than twice the speed limit broadsided them. Both Jason and Alina died instantly. We miss you, Jason. We love you, my precious Mr Sunshine.